MEADOWS @ PEIRCE is located at 626 - 632 UPPER THOMSON ROAD in district 26 (Tagore, Yio Chu Kang) of Singapore. MEADOWS @ PEIRCE is a Freehold Condo development consisting of 479 units. MEADOWS @ PEIRCE is completed / TOP in 2012 (estimated), developed by UOL DEVELOPMENT PTE LTD.
Educational institutions like LYCEE FRANCAIS DE SINGAPOUR, AUSTRALIAN INTERNATIONAL SCHOOL, GEMS WORLD ACADEMY (SINGAPORE), CHIJ ST. NICHOLAS GIRLS' SCHOOL (PRIMARY), ANDERSON PRIMARY SCHOOL and ANG MO KIO PRIMARY SCHOOL are near to MEADOWS @ PEIRCE. 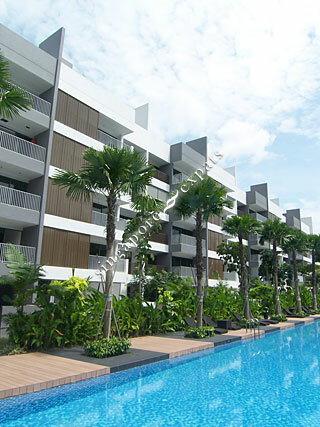 MEADOWS @ PEIRCE is accessible via nearby YIO CHU KANG, ANG MO KIO and MARYMOUNT MRT Stations. Close to famous eateries like Casaurina Curry, chinese, japanese and italian restaurants. Close to nature reserves and reservoirs, Upper Seletar, Upper Peirce, Lower Peirce, MacRitchie, Windsor Park. Stay as far away as possible if you have kids and are an educated person! Meadows does not even deserve to be listed as a condo. Facilities at Meadows @ Peirce include swimming pool, Jacuzzi, sauna, BBQ pits, gym, basketball practice court, jogging track, putting green, meeting room, and playground.